Capsized in an ocean of faces, strangers resist the pull of the depths and muster all strength to keep their heads from sinking, to keep their lungs full of air. As blank as the faces swarmed around them, are the structures they have flooded; buildings void of meaning and bereft of thought, empty spaces echoing a numbness inflicted upon their inhabitants and mirroring the faceless cold of a society which no longer cares for us. It is a reality blurred, distorted, manipulated, and never saying what it truly means. And much like the waves in the middle of a long forgotten body of water, the lives behind these faces drift in and out of our own, ebbing with a reckless refusal of time and trapped within their own narratives. With neither a beginning nor an end, the intertwining lives fighting for their own meaning in Lee Kang-hyun’s dramatic debut, mask their true intentions and never truly reveal who they are. A puzzle demanding to be deciphered, ‘Possible Faces’ plunges us into the lives of four people, wistfully removing us and rekindling back to them as it so chooses for no other reason than this is how real life is. 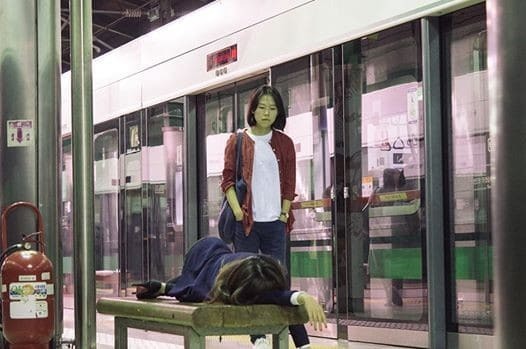 Injecting us at an unspecified time in their lives, ‘Possible Faces’ follows the parallel lives of Ki-sun and Hyejin as they attempt to find purpose in their lives after the end of their relationship, three years of which they spent living together. Ki-sun, a school administrator, develops a fixation on student Jinsu whilst encouraging him to complete his scholarship application. After some time passes and faced with a need for change, he leaves his job and begins work with a private newsletter, where he lands a gig writing about Hyunsoo, a parcel delivery man living an even more mundane existence. At the same time Hyejin has left her office job and has thrown herself and her savings into a meticulous renovation of her mother’s restaurant whilst trying to juggle a social life with her friend Juyeong. This is a film where any sense of plot falls secondary to Lee’s ulterior motive, one which seeks to highlight a larger social issue resonating amongst today’s twenty-and-thirty-somethings: the lack of emotional and spiritual fulfilment and the void this leaves. Our leads aimlessly drift through the emptiness of Seoul and exist without expressing a single emotion and living under a blank canvas, too afraid to express who they really are. It’s a numbing experience to watch as we randomly enter and live their lives just as people do in real life, a feeling only heightened by the film’s tenuous relationship with time: just like those suffering with depression, the essence of time is meaningless here and though there are subtle nods here and there (watch for Hyejin’s journal entries) the lack of a temporal timeframe can be nauseating here – which is the point. 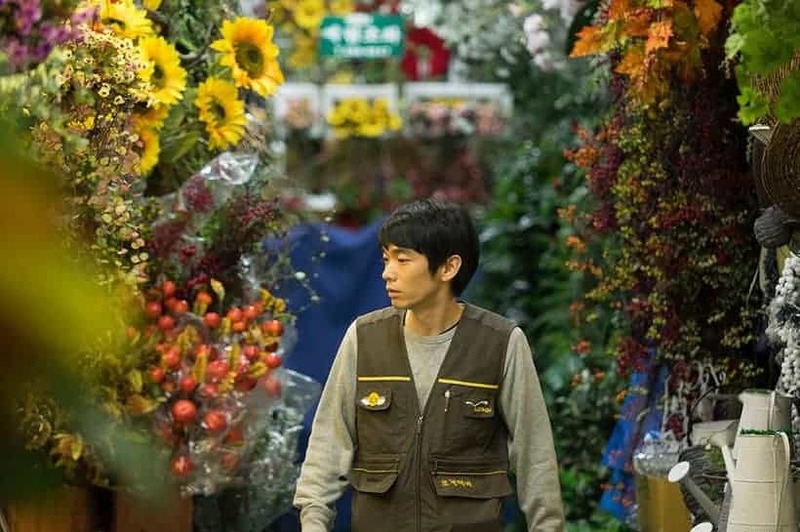 To call ‘Possible Faces’ an examination of depression suffered in contemporary urban life is an understatement at best, as the film paints a particularly bleak and joyless portrait of characters who could be anyone in our lives. Our characters never reveal our true intentions and this is a cause for concern; in fact there are a number of moments where an overwhelming sense of unease floods our experience of watching this, a feeling that there is something ugly broiling beneath the rather bland textures, illustrating their meagre lives. This is a joyless film to endure and at a two-hour runtime this makes it feel twice as long – whilst the effort is made to reflect this slogging feeling of such joylessness through its pacing, this is somewhat skewed as the frantic pace of modern life has been negated entirely, leaving out the opportunity of fully incorporating the psychogeography of their situation. The only time we experience any slight hint of happiness comes from Hyunsoo reading a journal whilst on a delivery; through his narration of a picture his painted of a perfect day experienced by a woman with the company of her husband and another male – three characters who never appear anywhere else. What’s striking is how Hyunsoo imagines this moment lost to everyone else, perceiving what he perceives happiness to look like. It’s a touch moment shrouded by the drudgery of his own existence and thus feels dreamlike. Just like people in the real world who slog through soulless work, they each have their own hopes and dreams that seem distant and riddled with risks, whether that is in terms of financial risks or job security. Each character takes a plunge in moving on from the in-situ tedium of their existence and faced with an even more challenging reality. Lee doesn’t sugar-coat their pursuit and instead makes them suffer throughout their tribulations; the one who suffers the most finds themselves regressing back to the beginning much like Sisyphus. But what Possible Faces does for reflecting the contemporary world it lacks anything spiritually fulfilling. This again seems to be the point of the film, much like the great social dramas of the past like De Sica’s ‘Bicycle Thieves’, but unlike this classic example, Lee’s cast find it a challenge to keep the audience invested in their own lives. At a time where many people in the Westernised parts of the world at least struggle with finding their own purpose, this almost feels like a wasted watch. The only upside is that our leads do not come across as entitled narcissists, though this may highlight a cultural difference between South Korea and the USA/UK and how people deal with their situations. ‘Possible Faces’ may not be the most challenging film to watch at this year’s London Korean Film Festival, but it is far from being the most interesting. Though it works in addressing the untruth and deceptions we use as masks for those around us, the dependence on grounding itself in realism serves as its downfall. It does little to evoke even empathy in the four lives traversing this land of hollow buildings, and its lack of temporal flow can be nauseating. A mixed concoction of thought-provoking set pieces and subtleties coming in droves struggles to keep Lee’s fictitious debut above the murky depths below this blank surface. However, for those wondering why depression and anxiety has massively increased in young people, this serves as an demanding eye-opener into why we have so disconnected from everything and everyone, including our true selves.